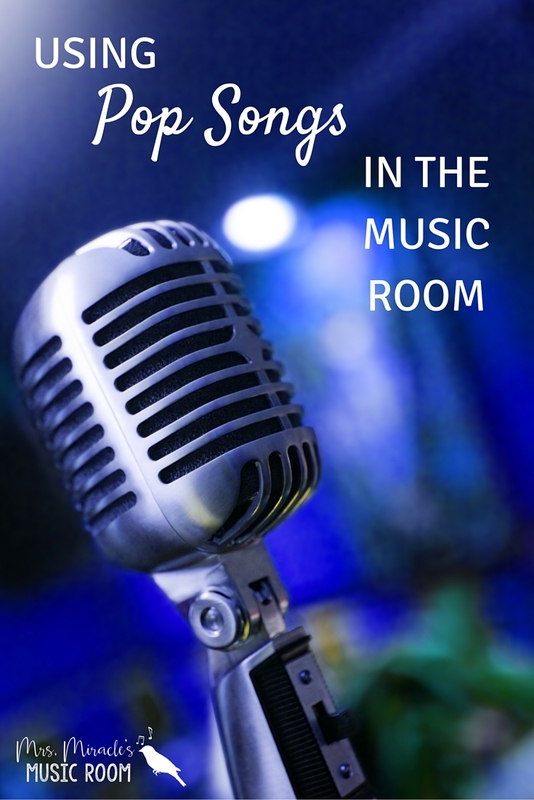 Today, I'm writing about something somewhat controversial--a topic that five or so years ago, I would have shied away from completely: using pop music in your music classroom. There are a few reasons I have shied away from using pop music in the past. Even before I began my Kodály training, my thought was that kids hear pop music ALL THE TIME. Why do they have to hear it in my class too? When I began my Kodály training, I heard the same sentiment: we should be teaching them music of the masters, and folk music that is accessible and part of their heritage. 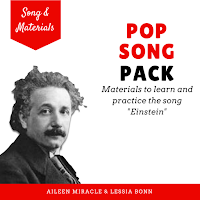 The most important reason, in my mind, for using pop music at times in the music classroom is to connect music of the past to music of the present. I once had a discussion with my husband about this. He is by no means a fan of typical pop music--he likes all kinds of somewhat obscure bands like Deer Tick and Wilco and My Morning Jacket--but his argument was this: how are they going to connect the music they learn from you to the music they listen to? I didn't have an answer then, except that they'd have to do it on their own. But why shouldn't I help that connection? Wouldn't it help them see the big idea that the music concepts they learn from me happen in ALL music? And isn't that a powerful big idea? Many of us were taught that we should only use the best music (a sentiment I completely agree with! )...but why does that mean we shouldn't ever use pop music? I think the elephant in the room is that many people think that all pop music is bad. In my opinion, that's not true. A decent amount of pop music is not the best quality, but there are plenty of good pop songs. You just have to find them! Yes, we can argue that pop music is like junk food and they get enough on the radio or on their iPods, but to be relevant, shouldn't we have them listen to a little pop music? And I don't mean the Beatles (although they are probably my favorite band of all time!) I recently had my students figure out how to play the first measure of "Best Day of My Life" by the American Authors (which I'll write about later in this post) and although my kids were SUPER excited about it, I had a student mention that the song was two years old, and couldn't we do something more recent? So if the American Authors, after two years, have lost a teeny bit of relevance, the Beatles don't have very much relevance at all! When I have used pop music, the excitement in the room is palpable. Students are jumping up and down with glee. Not that they never jump up and down with glee for other music we do, but seriously, they get pretty excited. My number one goal for my classroom is that it is joyful, so this is a pretty good reason to try it! So after thinking about how to include pop music in my lessons (since my training didn't include it at all), I realized the reason it can be so hard to do is that pop music keeps changing. The #1 hit that everyone loves in 2016 will surely not be #1 in 2017, and in five years it may be somewhat obsolete. So this means we have to change our pop music lessons, at least every few years, so that they remain relevant. Then, of course, there is the issue of appropriateness. SO many pop songs are just not appropriate. Maybe kids don't realize the true meaning of the song--as was so often the case with music I listened to growing up--but still, there are songs we just can't do, no matter how much the kids love them. If you can find a pop song that has a steady beat, you could play a game called "Follow me." Simply do the same motion for 8 beats and have students mirror you. Then when you change to a different motion, they do too! Halfway through the song, you could have student volunteers lead the beat! This works even better if the students have done this same activity with Beethoven or Brahms or Miles Davis...they they try it with pop music! "On top of the world" by Imagine Dragons is great for this activity! My fifth graders recently learned tika-ti (2 sixteenths/eighth) and they already knew syncopa (eighth/quarter/eighth) so "Best Day of my Life" was PERFECT! 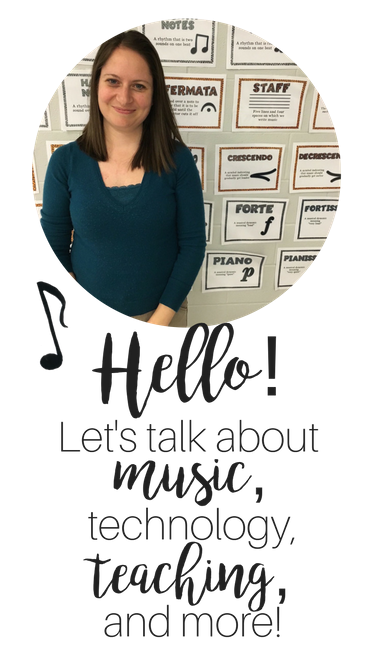 I had each kid pair up on a barred instrument with a friend, wrote the first measure on the board with rhythm and note letters, and had them figure out how to play it! So fun! Just like we might use "Sammy Sackett" for half note or "I got a letter" for low la, so we can figure out which pop songs lend themselves well to which rhythmic or melodic concepts! I haven't done a ton of work with this, but Christopher Roberts has found a couple Taylor Swift songs to use for concepts; read about it in this blog post on our collaborative blog, the Kodály Corner! 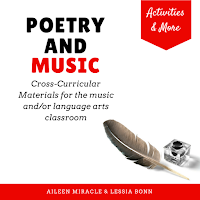 After lamenting to myself about how many songs I just couldn't use because of appropriateness, I started listening to music by my friend Lessia at I am Bullyproof Music...and I had a big a-ha moment, that I should be using her music to help make connections! In Lessia's words, she wrote her songs "with kids beside me telling me what they wanted me to express for them - so they could sing that mature wisdom over and over again." The songs have a great message, they are accessible, they are appropriate...and best of all, the kids love them! So far, I have tried the songs "Miracle" (I kind of HAD to try that one! ), "Monkey," "Einstein," and "Gift in this Present," and each has been a big hit with my kids (3rd grade and up.) I even used "Gift in this Present" for my 3rd grade program (read about that here) and "Einstein" for my 4th grade program (read about that here.) 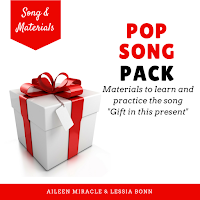 I've also used the songs to practice concepts (like 3/4 for "Gift in this Present") and to discuss lyrics and parts of a song, such as verse, chorus, and bridge. I have to give a big thank you to my friends Donna Gallo, Frank Gallo, and Lessia Bonn, who were huge influences in opening up my eyes on why and how to use pop music in my classroom. I'd love to hear your thoughts! What are your favorite songs to use, and why? Are you still struggling with using pop music? Feel free to comment below, and have a great day! This is wonderful, Aileen. I have struggled with finding appropriate ways to include pop music in the classroom. I've have found that a lot of Dalcroze inspired activities (such as the steady beat one listed above) really lend themselves to pop music. Thanks for the inspiration! Love this blog post. I took a Sociology in Music Education class a year ago as part of my masters, and we discussed topics like this. It really changed my thinking. I still think folk songs are the best place to start with kids, because they usually have smaller ranges and simpler melodies and rhythms than pop songs. However, I've noticed that there is a disconnect between the music-making they do in my class and the music experiences they enjoy outside of class. 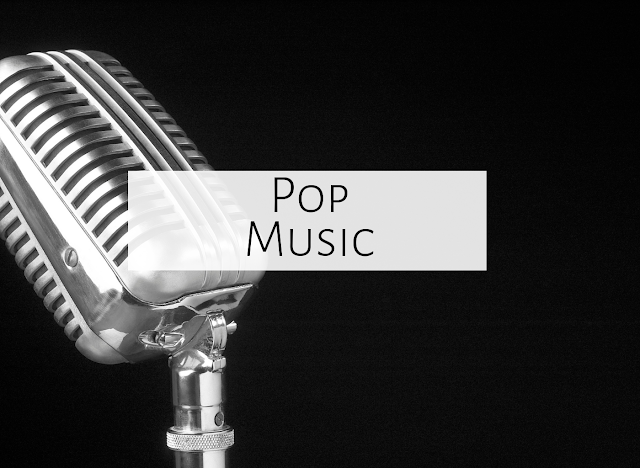 I want to find more ways to incorporate pop music into my lessons to bridge that gap. I've done the same thing with the Nationwide Jingle (Nationwide is on your side - ds,s,s,l,dd) and shown the Peyton Manning ads (we're in Colorado, of course), which they think is about the coolest thing in the world. The last thing I've done with pop music lately, which I got from the Kodaly Corner blog, is to hand out rhythm cards to each kid as they walk in the room. I play a pop song and they can walk around and dance until I pause the music. Then they find a partner and perform their rhythm for their partner and switch cards. I start the music again and they walk again. Simple rhythm practicing but they love that there's pop music on, just like you described. Thanks for sharing! My students are always trying to get me to include popular music to out class but I have to be honest I get nervous about content and appropriateness. I am going to try the "I Am Bullyproof Music" store and blog to see if I can get some ideas. It will be nice to see what other people are using. I also want to comment that I love that you tie the concepts they are learning to the popular music (rhythms etc.) Because I feel like some teachers just choose popular songs to make the students happy or entertain the audience. Thank you for this post! I am constantly trying to find new ways to keep my middle school students engaged. Pop music is something that is definitely relevant to them. Lots of your ideas will be motivating in my classroom. I am excited to try the Orff arrangements.